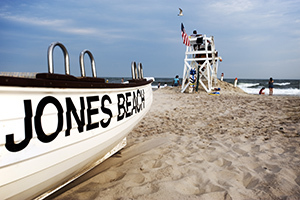 White sand beaches, fresh local produce and seafood, world-class wineries, championship golf courses, trophy fishing, soothing spas and fabulous shopping-Long Island has everything you need for a perfect island getaway! Discover all this and more, just minutes from Manhattan. Each of the Island&apos;s regions has its specialties: the North Shore&apos;s opulent estates and harborside villages, the South Shore&apos;s Belmont Park racetrack and Jones Beach boardwalk and concerts, the North Fork&apos;s farmland and vineyards rated one of the world&apos;s top ten wine regions, and on the South Fork-Montauk and The Hamptons, called the ultimate summer playground by Conde Nast Traveler. Wherever you travel, you&apos;ll encounter breathtaking beaches, nature preserves, unique museums, lighthouses and historic homes-from Walt Whitman&apos;s humble cottage to Great Gatsby-style Gold Coast mansions. 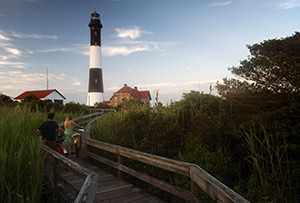 Catch a ferry on the South Shore to explore Fire Island National Seashore&apos;s pristine beaches, high dunes and maritime forests. 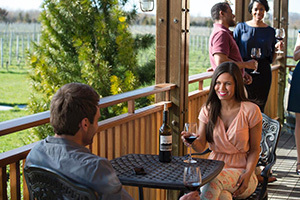 Follow the North Fork Trail to winery tours, great seafood restaurants and unique attractions like Lavender by the Bay, where you can pick bunches of fragrant lavender, taste lavender honey and shop for sweet-smelling souvenirs. Shopping options range from seaside antique shops and farmstands to Freeport&apos;s Nautical Mile and Americana Manhasset&apos;s "Miracle Mile" of posh designers, from Armani to Veneta. In Riverhead, find sizzling deals at Tanger Factory Outlet Centers-and then cool down at Splish Splash, voted one of America&apos;s Top 15 Waterparks by Budget Travel. Families love learning together at the Long Island Aquarium and Long Island Children&apos;s Museum, housed in a former airplane hangar. 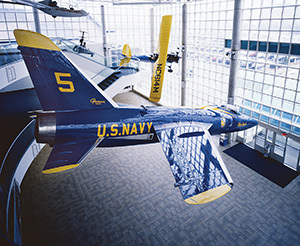 Explore the future and the history of aerospace at the Cradle of Aviation Museum. Discover seafaring heritage at the Cold Spring Harbor Whaling Museum, set in a picturesque village of galleries and boutiques.